(NEW YORK, NY) November 16, 2018 – Months of planning and hours of preparation equaled an unforgettable evening and also a first for the famed Greenwich Village venue, The James Beard House, last week on Wednesday, November 7. 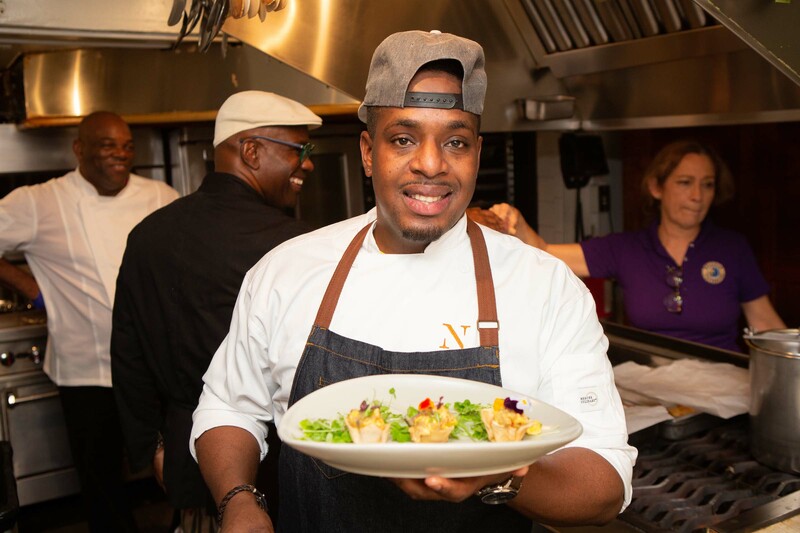 “Savoring Jamaica,” created and produced by Annette Davidson of The Chef’s Advocate, successfully redefined Jamaican gastronomy to a sold-out guest list of foodies, expats, executives and media. It would be the first time since the James Beard Foundation started its dinner series more than 20 years ago that an entire country, culture and chefs would be highlighted over the course of an evening with an exclusive menu. 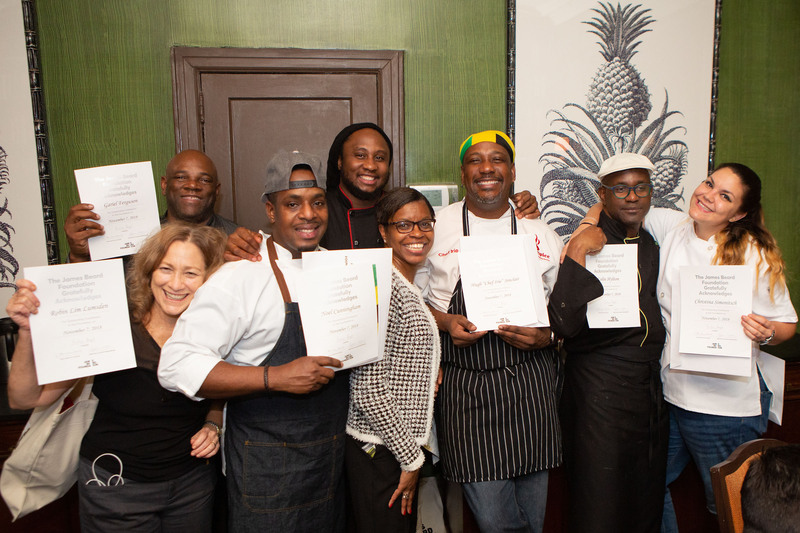 Not a smell in the house went unnoticed as six chefs created island magic to honor Jamaica’s rich and diverse culinary history. “Savoring Jamaica” was created to do just that while elevating its street food reputation to one that’s fiercely competitive in today’s fine dining world, setting an example of the culinary and drink renaissance that is happening right in the Caribbean, especially in Jamaica. Joining the evening was Joy Spence, Master Blender of Appleton Estate Rum, one of this year’s sponsors. Spence’s Joy Cocktail, along with Chef Noel Cunningham’s 876 on the Rocks and Hugh ‘Chef Irie’ Sinclair’s Irie Stinger stole the cocktail reception with passed hors d’oeuvres that included Oxtail Arancini in a Brown Butter Bean Puree, Ackee + Saltfish Wonton and Pimento Roasted Beef Tenderloin Crostini. Guests were also treated to Dragon Stout, the island’s most recognizable stout brand. The five-course dining experience that followed introduced guests’ taste buds to a Roasted Pumpkin Coconut Bisque by Chef Noel Cunningham, a Filet of Snapper en Papillote in Coconut “Rundown Sauce” by Robin Lim Lumsden, Rum Braised Pork Belly with Charred Sweet Potatoes and Pickled June-Plum Papaya Relish prepared by Chef Gariel Ferguson, Masala Spiced Roasted Goat Chops with Coconut Plantain Puree from Hugh ‘Chef Irie’ Sinclair and “Sweet Nyammins” or Dark Chocolate with Spice Roasted Bananas, Walnut Pralines and Appleton Estate Signature Rum and Mouth Puckering Passionfruit Gelee with Condensed Milk Jackfruit created by Chef Colin Hylton. Wines paired with the courses included P. Harrell Wines out of California and Darjean Jones Wines in Texas, both black female-owned. Additional sponsors for the evening included Cheshire Heritage Pork, Grana Padano, Farm Up Jamaica, Taste Jamaica, Tourism Link Network, Tourism Enhancement Board and Cuisine Noir Magazine. As Davidson and her team wrap-up final ends from “Savoring Jamaica,” their focus will then shift to next year’s event “Friends of James Beard – Jamaica.” The event will continue to highlight the island’s natural affinity for culinary diversity while reaching the next generation of chefs. Information and tickets will be available in March 2019. 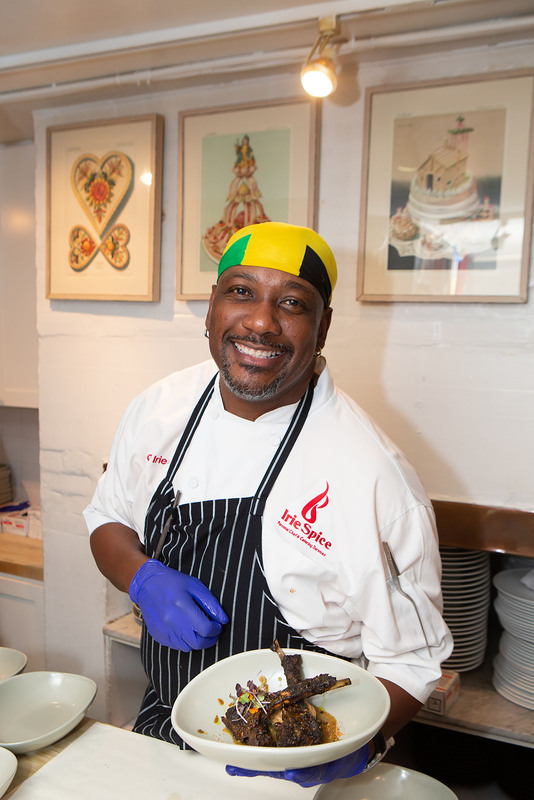 For more information about “Savoring Jamaica” for post-event recaps, contact Sheree Williams at sheree@thechefsadvocate.com or 510-681-5091. The Chef’s Advocate is a boutique marketing and events management firm that supports a broad spectrum of chefs in the culinary industry across the U.S., Canada and the Caribbean with brand development and growth, identity management and social media marketing. The company was founded in 2017 by Annette Davidson and is based in Brooklyn, NY. Follow @thechefsadvocate on Instagram, Facebook and Twitter.